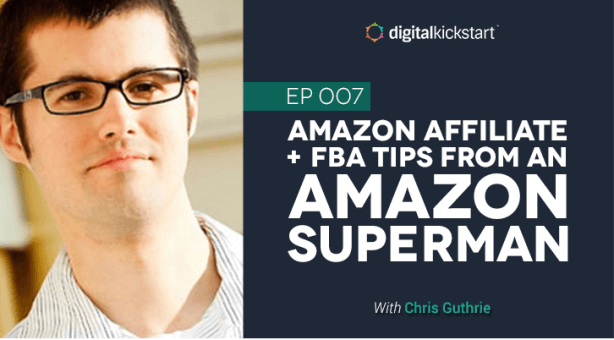 In this episode, Amazon affiliate and FBA expert Chris Guthrie stopped by to talk about how he got fired from his job in 2009 and now runs a million-dollar Amazon empire, creating Amazon affiliate sites, selling products on Amazon and selling software. Mark Thompson: Hello and welcome to this episode. I am joined by Chris Guthrie. He is the creator of Upfuel.com. He is also an Amazon expert, Amazon affiliate marketer. He got fired from his job in 2009 I believe it was and then he started earning over $150,000 in 2010 from the Amazon affiliate program as well as other income streams. Chris and I have known each other for a long time. Chris welcome to the podcast. Chris Guthrie: Thanks Mark. It has been a lot of fun since that fateful day. Mark Thompson: I know and I actually just got to catch up with Chris at the Traffic and Conversion Summit. It was great to see you again. Tell me about for people who don’t know who you are, talk to me about the evolution that when you first started from getting fired to what you are doing today. Chris Guthrie: Sure that is a great starting point. I had pretty much been, I heard years back that you can make money online. I contacted this guy, I think it was the game cube website. I saw this little add at the bottom that said, ads by Google. That was ad sense of course but I didn’t know what it was at the time. I emailed the site owner. I said, “What are these ads? Are you making any money from them?” He said, “I am making $2 a day.” I said well if it is $2 a day presumably you just need to get a lot more traffic then you can make that a lot more. A very basic understanding of how things could work. I set out to try and build some websites to make money from ads. I had some forums and … I had a forum in the video game niche when I was in college and more into playing video games. That site, I think the best traffic month I ever had was maybe half a million page views but I only made $500 from ad sense. That was kind of when I learned, traffic is important but targeted traffic is even more important. That is what kind of led me to building a product review websites and then using Amazon’s affiliate program. I built up some sites like that and that was what was really able to help me finally break through. Once you hit maybe that first $1,000 a month then you are like, “Wow. This is pretty nice money.” If you compare it to a typical day job earnings it is already a decent chunk of that. I built up the Amazon affiliate side I got fired from my day job it was October 12th maybe it was the 13th I can’t remember now. I would just check and I have kind of a fireversary that I celebrate when it comes around each year. Mark Thompson: Me too don’t worry. You are not the … you are in good company. Chris Guthrie: I keep looking on Google to see if fireversary is a word yet. Maybe I should submit it to Urban Dictionary or something. I have not looked in a while. Pretty much I got fired. The next month was November. I think I made $13,000 from Amazon’s affiliate program that month. The next month was $10,000. I pretty much was like, “All right. I am just going to do this.” I started my blog which is now Upfuel.com. I named that. I was like if I am already making a full time income from this website stuff I was doing on the side, then I have extra time so I might as well talk about this journey because I have learned a lot through failures. That is kind of what brings us up to at least how I got started. Mark Thompson: How many different affiliate sites did you have when you started out in say 2010. Mark Thompson: Back in 2010, 2011 you are building these internet sites. How much time and effort did you have to put into them to get them to finally rank for whichever review keyword you are going after. Chris Guthrie: Not a huge amount of time. I was really … I had a full time day job and I was just doing this on the side. Really anything that I start even today, I do it on the side. Now I have a primary business or several primary businesses. If I had something new for example, selling on Amazon then I started that on the side. I would work on that outside of normal hours. I normally would be focusing on other stuff throughout the day. Pretty much just a couple of hours a day maybe, sometimes less. Mark Thompson: At what point did you turn from being an Amazon affiliate to being part of Amazon FPA program, the fulfillment by Amazon program where you are actually selling your own products. Chris Guthrie: Actually it took several years. In hindsight obviously it would have been nice to get on there much earlier but I was doing other things like buying websites and building other sites from scratch and make money from building software products as well. I started selling on Amazon in July of 2014, I believe was my first sale and I just kind of did the [inaudible 00:05:08] on the side it was just very much a … I really like to think that it is so easy to spend a lot of your time researching and not really taking action. When I started with FPA after having done different things in the past with varying degrees of success, I said, “Okay. Whatever is the simplest thing I can do to get to the end goal which is to get a product on Amazon, I am going to do that.” Once I had products up on Amazon, what can I do to get it to sell and now how can I get it to sell more. Everything is step by step, kind of putting the blinders on in a sense and just focusing on what I need to do to get on the next step. Mark Thompson: Okay. You are an Amazon affiliate. You are also selling your own products on Amazon. You are also a product creator where you create different pieces of software in the Internet marketing space. 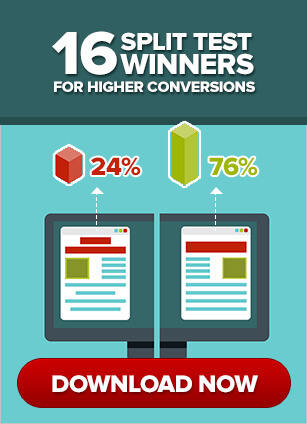 What percentage of your revenue … how does that add up in terms of your revenue percentage? Chris Guthrie: It is pretty … I have not been doing interim reports for my Amazon business right now. I have been doing software business for years before I started selling on Amazon. That is still a larger chunk of the revenue. The goal for the Amazon site is to get to a $100K per month revenue. That is the goal for that side. On the software side that is always been kind of a larger slice. Right now it is like, I have four different companies and I will be starting a fifth. Rather four companies that either I am the sole owner of or majority owner of or 50/50 owner. I am about to start a fifth this year to do some real estate investing too. It is kind of a lot of different chunk altogether. The goal I have always had is to never go back to a job. If something gets taken out then there is another several revenue streams that would cover more than enough living expenses. Mark Thompson: Okay. 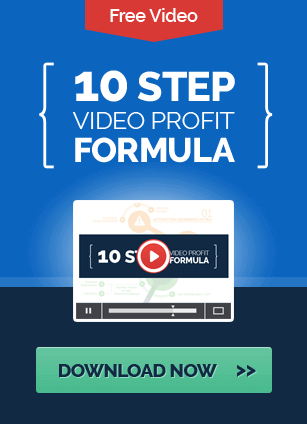 The software side just became so much of a money driver for your business that you kind of, not lost focus on the Amazon affiliate marketing side, but it just did not compare right, is that basically what happened? 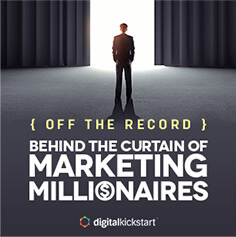 Chris Guthrie: Well, once I sold my top site, that six figure deal, it is kind of like I went from instantly making thousands and thousands a month back down to just what the other sites were doing which was not as much. That was the biggest driver. Mark Thompson: Right. So you had 20 or 25 sites and then the one was the main driver of it and then you sold that off. Then you kind of focused more on the FPA and the software side right? Mark Thompson: You Amazon guys are very secretive about your niches and products. I won’t go there. Talk to me about someone who is interested in … whether it is just a business opportunity or revenue stream. Talk to me about the pros and cons of being an Amazon affiliate versus maybe even trying to sell your own product on Amazon. Chris Guthrie: The Amazon affiliate site is great because everyone knows Amazon. Everyone has an Amazon account and it is … they don’t reveal their prime numbers but it is just millions and millions of people that have prime accounts in the US. So many people buy … I think they did show an analysis that if you have an Amazon prime account you spend I think 20 times as much as someone without one. Amazon is really focused on getting those prime users there. If you are an Amazon affiliate you know that any time you linking now to Amazon from your website, whatever it is you are driving traffic from that people are going to converge there. On the affiliate side a lot of times I was just, I was selling wedding rings and making money from those when I don’t have anything in the wedding space. You just get people to Amazon and you got 24 hours to convert them. Anything they buy you will make money from. Years ago people were doing free book sites and they were just sending people to free books either with their massive email lists. Then Amazon kind of got wise to that. Once people were there on their free book, getting their free book they were buying stuff. They changed the rules a while back to kind of de-emphasize that. On the affiliate side it is great because it is very low risk in terms of getting started and you can make a great amount of money if you build something up. My suggestion almost pretty always just the case of, “Look at any market and decide, what are these sites doing that are successful? What do they have in common? Where is some gaps? Where can I differentiate and have something and create something truly better then them.” That is kind of the philosophy I went in with for that site that I built and that sold. That still rings true especially these days now compared to when I was first getting started, it was a lot easier to do a lot of these things but now you have got to have higher quality things. Everything is leading towards that direction. If you first start with that frame of mind when you first get going that is a best way. Mark Thompson: That sounds like the easiest. It is almost like being a general affiliate for any product. Instead of being a product creator where you have to worry about creating the product, supporting the product, having a team to fix bugs and all that kind of stuff, it is pretty much hands free. You send the traffic to Amazon. They buy somebody else’s product. They fulfill it. You don’t have to worry about it. You wipe your hands clean. You are done. Chris Guthrie: Exactly. Then on the selling side, you are going to start finally getting emails from customers because you are actually selling the products. One thing I will say is that the affiliate site you can make good money but I don’t know any affiliates that are making as much money as some of the Amazon sellers that I have met that are doing really, really exceptionally well, $1,000,000 plus a month type of thing. Chris Guthrie: That is not to say it cannot be done. I know some really large sites, I think it is the Wirecutter.com or [inaudible 00:11:25]. They do reviews of different products and they are always just driving people to Amazon. I know they are just killing it with their affiliate program. That is kind of an authority style approach. Then they are monetizing with Amazon’s affiliate program. That is probably … I would not be surprised if that is their primary revenue stream. Check out that site after that. 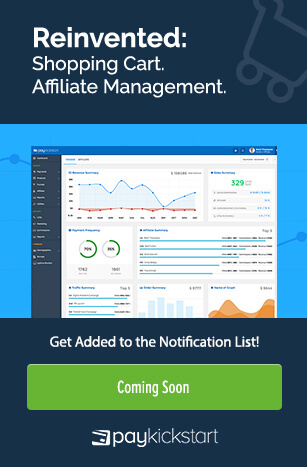 Mark Thompson: It sounds similar to any other affiliates program or any other online business. You can be an affiliate but being an affiliate can only make you so much because you are not in control of the product. Obviously when you are a product creator you are going to earn much more. With the Amazon, what is the percentage that you make as an affiliate? Chris Guthrie: As an affiliate you make 4% starting and then it goes up to 8.5%. It all volume dependent. The first jump up is at 6 items. I think it goes to 6%. Then it kind of keeps going higher from there. The nice part about the Amazon program is that they do it retroactively. If you qualify for a new tier sometime throughout the month, then they go back basically and give you that higher percentage rate for everything you sold during that month. Mark Thompson: I was going to say that is for the entire order of the cart. Not just the product that you are promoting. Chris Guthrie: Exactly, anything that someone buys in the next 24 hours after they click a link on Amazon you are going to get a commission on. That is why a lot of the strategy is to get them on Amazon and Amazon will convert them. They will remember, “I got to buy this thing for my spouse. I got to buy this present for my kid.” Whatever it might be. That is a lot of what Amazon associates’ earnings will look like when you, “I don’t need to promote this on my site but here is some Lego purchases.” On the product creator side, then again you are keeping 100%. That is the nice part. Mark Thompson: What is the formula there. You want to sell your own product. How do you even go about finding a product to sell. Chris Guthrie: I will give you an example just from my own experience. That is what I always try to lean on towards based on what I have done and what I have tried out. I did the Amazon affiliate site, I built that site up. After I sold it I thought, “Okay. I am still building these sites but there is some pains that I know as an Amazon affiliate. I think that these can be solved through software.” The very first software product I did was a product called Easy Azon and it is a word press plug in that helps an Amazon affiliates quickly, more quickly create Amazon affiliate links and it can also help them make more money. I was just actually talking to a guy the other day. He makes an extra $1,000 a month because we built in some technology to automatically change links once say someone from the UK comes in and they click a link then it goes to Amazon UK as opposed to just Amazon.com. All I did is I went to a local WordPress meetup and I said, “Hey. Does anyone know how to make a Word Press plug in?” I kind of completely no idea how to actually do this. I had worked with people overseas in the past and it is hit or miss. Obviously you can make it work but for this one I wanted to meet someone in person. I was in Seattle at the time, went to a Word Press meetup, met someone. I think the first version was only a few thousand dollars which is a decent amount of money. I was able to use some of that money from the business and again, re-investing is so important but I used that additional money and gathered the first version, promoted it on my email list and I think I very quickly made back the initial cost and I just worked towards making the product better and better over time. Mark Thompson: In terms of Amazon the FPA stuff, are you able to share any type of product that you sell on Amazon right now? Chris Guthrie: I can’t share the products that I sell. Everything that I have sold so far has been based in stuff that I sourced from China. I just found typically that if you are going to do US stuff that is typically supplements or skin creams or things like that. I just never got into that space. It is much more competitive than if you are going for stuff from China. Now some things that you are going to order from China are going to be really competitive as well. That is why I even today if someone wanted to getting on selling on Amazon, I would suggest going for lower competition stuff, just get started. Just to you know, a few hundred units for your first order, just to test the market, make sure you are actually going to get sales. The worst thing that can happen is, you pick a product and you launch it and then you cannot actually get it to sell. Mark Thompson: It is amazing. I am not into the FPA stuff but from what I have heard it is that you can almost white label any type of product from China and slap your logo on it. Chris Guthrie: Yeah. It is crazy. Once you start selling on Amazon. It is weird because you will be walking through the hardware store and you see this little rubber. I was just trying to pick something up for a faucet in my backyard that is kind of leaky for some reason. It was $3 or something. In China this is probably 10 cents. The packaging is probably 2 cents. It is funny it changes that frame of reference. Mark Thompson: It is as simple as selecting a product, finding a manufacturer in China that will produce it for you, ordering X number of units, having it shipped over to the States. From there you need to decide are you going to house this product yourself or I know Amazon has their own fulfillment center where they will do it for you. Chris Guthrie: Exactly. Everyone uses … for the most part people doing private labeling they do … they use FPA. That is fulfilled by Amazon. That is where you ship the units into Amazon and then they have warehouses throughout the country and then once you ship your units in they will actually tell you which area it is going to. Slap the UPS labels on the boxes, the cartons rather and then they are sent off. Then Amazon handles that. Also too when you are using FPA it makes your items Prime eligible. That is one of the other main reasons why. Then Amazon actually helps provide an SEO bonus to product rankings if you are using FPA as opposed to fulfill by merchants. Chris Guthrie: It is hard with Google to measure exactly how much that might be and what equation it all turns out to be. That is kind of what we did. Even going back to the product creation side. One of the other products that we built several years ago was Amasuite. We did that originally for Amazon affiliates. Then once I started selling on Amazon I thought, “Hey, we can add in these extra data points and it will become useful for Amazon sellers.” That is what we did. The times that I am doing product creation stuff. It was always based on my own need for something as a result of actually working within that business. Mark Thompson: That is what we do when we create something. Man I wish I could do X,Y and Z. Let’s just build it. Hopefully people want it too. Chris Guthrie: Yeah. It is awesome. Mark Thompson: Yeah. When Amazon fulfills for you, they do all the shipping and housing of your product. What is their cut on that? Chris Guthrie: That actually varies by category but it can go from I think up to 20% maybe the highest. It can go down to I believe 8%. I don’t recall because I have not looked at that page recently. It just varies based on the category. I think jewelry for example is a higher percentage because they know there is a higher margin there. I believe that in other categories it is lower. Patio and home and garden and stuff like that. Mark Thompson: You have your product. Amazon is fulfilling it for you. How do you market it? 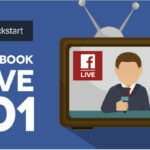 Chris Guthrie: That sometimes changes but it really comes down to, usually when you are launching a product you are going to try and get some reviews. There is a lot of things you can do to do that. For example, if you just Google, top Amazon reviewers you will find a page on Amazon.com which shows you the top 10,000 reviewers. What you can do is you can contact these people and say, “Can you leave a review of my product. Honest done review of the product.” A lot of the times they will say yes. That is why they are up there on that page in the first place is because they get all these people to sign in free stuff and they are doing reviews. On the back end some of these people are probably selling it on eBay or something like that after they have reviewed your product. That helps you to get some of the initial social proof. Another thing you might do too, is there are services that are actually help with launching products. 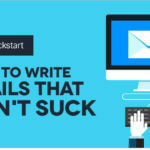 They usually have a massive email list and then they will drive traffic to is over a certain period of time. 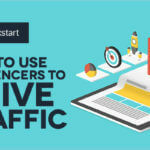 Originally, you could just drive a bunch of traffic all at once, on one day and get a bunch of sales but now it is better to space those days out so it is more of a sustained sales over a certain period of time. You are basically just in all these different efforts there is lots of different things you can do. You sort of just priming the pump so that Amazon starts to see some activity, starts to see some sales. They are more likely to help start ranking you for various key words. Then you start getting some more organic sales. That is the goal. You are just trying to seed it and then get going from that. Mark Thompson: Then rank it. Amazon also has their own paid network where you can advertise your products, right? Chris Guthrie: Exactly. They have the sponsored ads platform. I have never been a huge pay traffic guy. It is unfortunate. I should do it. Every time I talk about it I always think, “Man I really need to get on that.” With Amazon it is really simple in that you just set your budget and you can bid differently based on different keywords. You can do an automatic campaign which will automatically populate keywords or you can automatically can do a manual campaign. You can manually create your keywords. Then you can set your bid prices. The cool part is you don’t actually have to do any, write any copy for your ads. It just kind of creates your ads automatically and that is where … Amazon has done changes over the time, over the last several years. One of the bigger ones is they started adding sponsored search results at the very top of their search results when you start searching for products. Originally, it would just be actual products organically ranking and then sponsored ads on the sidebar. Now they have sponsored ads with their products right at the top. There is a lot of different opportunities to drive traffic from Amazon. Again coming back to that SEO thing, paying for sponsored ads people have found that in general it kind of helps with rankings as well. You want to spend at least a little bit. I know some people that were doing thousands of dollars a day in sponsored ads. For me, I never really got up that high. I was only doing $10, $15 a day. It was not a lot because I started getting more organic sales. When I turned on the ads further it just was not driving a lot additional sales at a price that made sense. It is great because you can see your ACOS which is your ad cost of sales. You can see if a key word is worth using or not. Generally speaking if you can sell at break even or even just a little below break even then you should because it is going to help you with the organic full price sales you might get. Mark Thompson: It sounds like any ad platform. Google ad words was in its infancy the key words were so cheap, it didn’t really … you didn’t really have to make that much to see a positive return on investment. Obviously as the platform grew and more advertisers came on, a click for 30 cents is now a click for $4. Same thing with Facebook you were getting penny clicks and now it is grown to a lot higher. I would assume Amazon is no different. Chris Guthrie: Exactly. I think it is only going to get more competitive especially in some niches. That is why if you are listening to this today and are wanting to list on Amazon I would suggest at least to start go for something lower competition. I kind like to suggest that if you can just get … especially if you have not build a business before, just getting an initial win is really important for your own confidence to get going onto the next stuff. Mark Thompson: For people who are listening who are saying hey, this is something I would be interested in, what kind of investment would there be, an initial investment to get a product created or white labeled and up on Amazon? Chris Guthrie: I will my own experience. The very first product I did, I did 500 units. I could have done 250 but the last minute I thought, I am just going to go, I am going to go for a little extra and I did. I am glad I did because I ended up needing those units. 500 units and it was about $2 per unit so it was about $1,000 in product cost and I needed to ship those over and I used air shipping. It was about another $1,000. That is why I said earlier, if you can just hit a couple of hundred units you can do that. Then if you run out of stock you just try and get your stock back in as quickly as you can. 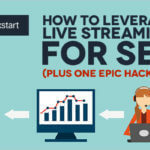 Then you might need to do a few more promotions to get things back up and running again but that way you can make sure at least something is selling first. I took a bit of a risk going for 500 units as opposed to less but it worked out. Mark Thompson: Gotcha. From what I have heard, there is always a way to dump your units. For whatever it doesn’t sell, it sounds like you will be able to find someone that will want to purchase them even at cost where you can hopefully make that investment back. Chris Guthrie: Ideally you want to … the thing you want to keep in mind is that Amazon has long term storage fees they charge after I believe six months and 365 days. They will charge based on the number of cubic feet that your inventory takes up. If you find that your product that you have launched is struggling, just don’t wait until the fifth or sixth month to try and sell those units if they are not doing well. Then you are going to get hit with a fee. There are so many things you can do to [inaudible 00:24:51] let me just drop my price to break even or something really, really low just to get rid of some. Mark Thompson: What is the difference between air shipping and boat shipping? In terms of price. Chris Guthrie: I have only done air shipping. Sea shipping is quite a bit lower but I know there were people quite a while back, I think it was last … I think 2014, holiday 2014 there was a long shore men … I think it was some type of a … I am trying to think of the word now. They weren’t working and this was in Los Angeles and all these boats were sitting out at sea with some people’s Amazon inventory just sitting there. With sea you just have to account for some kind of external factors that can impact you. One thing you can do too, is do a mixture of sea and air. That can work. So far everything I have sold has been pretty light weight and I have just done air. The other thing to keep in mind too … I am dropping a lot of stuff out. If you are getting started a lot of the courses that are out there they talk about selling light weight and inexpensive, less expensive items, $10 to $50 or so. Then lightweight so that they can be air shipped. That is the common advice that people have. Again, if you are thinking about how can I differentiate. Just simply going where most people aren’t is something you can do. So you go for something heavier and something more expensive then you need a sea ship because that is more challenging than doing air shipping. Then that is an additional barrier to entry in your market. If something is harder to do that is almost a good thing if you are selling on Amazon because the barriers to get in there are already fairly low. Mark Thompson: 50 pounds or whatever. Chris Guthrie: I would say … it really just comes down to where you are at in your own journey. If you have already built a successful business and you are trying to think about the next one, you have got some additional capital. Then maybe yeah. Look for something heavy or some type of a premium on the product differentiates you from the other people selling the same thing. If you are just getting started, it is okay, what can I sell that is lower competition. I can have a limit. I am out of cash outlays just so I can get something up there and make some of my money back and maybe a little bit more and re-invest that back in the business. Mark Thompson: It is pretty amazing to see what some people are making on Amazon, six, seven, eight figures just scaling it up. Once you have learned the process of picking the right products, finding the right manufacturers, having Amazon fulfill it. It is just a kind of rinse and repeat type of thing? Chris Guthrie: Yeah. It is very systematic. It is pretty much, we have different SOPs, standard operating procedures. We used to do them in Google docs. It is just like, “Okay. You need to create a shipment for your orders. Here is how you go into the inventory area and set up an order and you go through these steps.” That way even if you are doing everything yourself to start out, it is just nice to put your own system, to write down what you are doing so that anytime if you want to hire someone on or assign some task of the business to someone else then you can. Here is what I do every time. With Amazon a lot of it is like that. Mark Thompson: How big is your internal team. Mark Thompson: I have been there as well. Chris Guthrie: Then I was like, “Maybe this is not what other companies do. Maybe I should use a support desk.” Then have someone to help me support. That is what I did. Mark Thompson: I would assume. I have never sold physical products. I would assume customer service for physical products is a lot less than digital products? Chris Guthrie: Oh yeah. Looking at our support desk for our software businesses and it is thousands and thousands of emails that we have received. If it a product on Amazon and it is not too complex, some products can get a lot of emails but most of the time it is like … I can’t remember how many emails I had but I think it was like less than 100, maybe a couple 100 over a couple year period. Mark Thompson: A physical product it is what it is. If you are buying a clock it is a clock. You can see it. You know what it is going to do. It is what it is. Chris Guthrie: That is the nice part too. 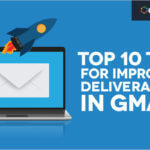 At the same time if you are doing the software side it is the same thing where you are applying systems and canned responses and all that for customers to email into. Mark Thompson: Awesome stuff. It is very interesting to see what you are doing. For anybody that wants to learn more about you and your business where do they go. Chris Guthrie: Best place to just go to my blog. It is just Upfuel.com. Just the six characters. You can also just Google my name, Chris Guthrie. You can find me there. Mark Thompson: Awesome. Chris is one of the good guys. He always is blogging and sharing lots of cool tips and stuff. If you are looking into getting into the Amazon affiliates or FPA stuff, I know it is blowing up. It makes me itchy as an entrepreneur you get the ADD going, “I got to do all this stuff.” I keep telling myself, “Don’t do it. Don’t do it because I am, I have enough things going on.” It sounds like there is so much opportunity and with Amazon they just make it so easy. There is so many different products, so many different directions you can go. Chris Guthrie: I mean I originally never wanted to sell products, do e-commerce and it wasn’t until I heard about selling on Amazon and that they take care of the fulfillment aspect that it just seemed a lot easier. Now if you sell on your own Chub [inaudible 00:31:01] fulfillment places they can handle stuff for you but that was not something that I was even aware of. I was in a completely different area focused on software, building websites and all that other stuff. Mark Thompson: Real quick before I let you go. Do you do anything on Shopify or is it just straight on Aamzon? Chris Guthrie: Not yet but that would be the next step. I think that if you look at … Mark you know at the Traffic and Conversion Summit, a lot of those guys sell on Amazon but they also sell on their own store. They are also doing other things to drag traffic. Long term if you can also do everything. That can be really well. Also help with the value of your companies to … multiple revenue streams will always help out. Mark Thompson: Very cool. Thanks again Chris for joining me. It was very interesting to hear about your business. I always knew about your affiliate business but I really didn’t know much about the FPA side. Thank you for joining me and coming on.